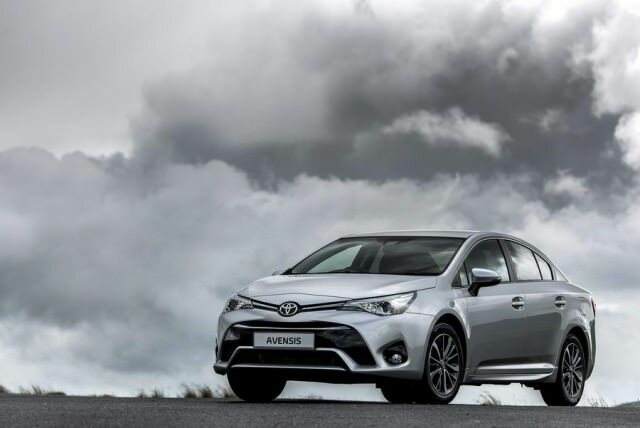 The Toyota Avensis may not be the most exciting saloon on the market, but it's certainly dependable. There are two Avensis body styles to choose from, the saloon and the 'Touring Sports' estate. The trim levels will be familiar to all Toyota buyers of the past two decades, called Terra, Aura, Luna and Sol, basically. The latest new car range includes a 1.8-litre petrol engine and then 1.6- and 2.0-litre D-4D diesel options, but the offering has changed through the years. There was once a 1.6-litre petrol option, for example, and a 2.2-litre diesel. The vast majority listed in the classifieds use a manual gearbox, though there are some automatics, mostly paired with petrol engines. Much as we'd like to suggest that a petrol version would suit many motorists that are sticking with diesel, it's clear that, for now, the smart money goes on a diesel Avensis. Go for a post-2012 model if possible, as that's when the first facelift and update was launched, and it'll mean a 2.0-litre engine, as the 1.6-litre (sourced from BMW) was introduced much later on. In terms of trim levels, we reckon the Avensis is best sampled in one of the higher specifications, as the lower two are a little lacking in terms of niceties. If you need more space, seek out one of the much rarer estates, as they're fine family cars. Final point: make sure you're not buying a car that was previously used as a taxi, as many examples of the Avensis are. Do a Cartell.ie history check to make sure. The Toyota Avensis is not the most interesting saloon car of its size, but it makes a lot of sense as a dependable second hand family motor that'll be easy to sell on afterwards. There are loads of examples in the classifieds to choose from so long as you are happy with a diesel manual saloon.